I was trying to find my planner supplies last week and it got so overwhelming that I had to stop. When I was young, my mother use to tell me to clean my room before going outside to play. An hour later she would check on me and the entire room was pulled apart and I would be organizing it. I couldn't just put things away if the space wasn't organized to begin with. Are you the same way? Do you get frustrated when you are trying to find that one sticker page for your planner and you have to dump out the whole drawer to find what you are looking for? That's why I had to just stop and take a look at how much time I was digging for what I was needing. 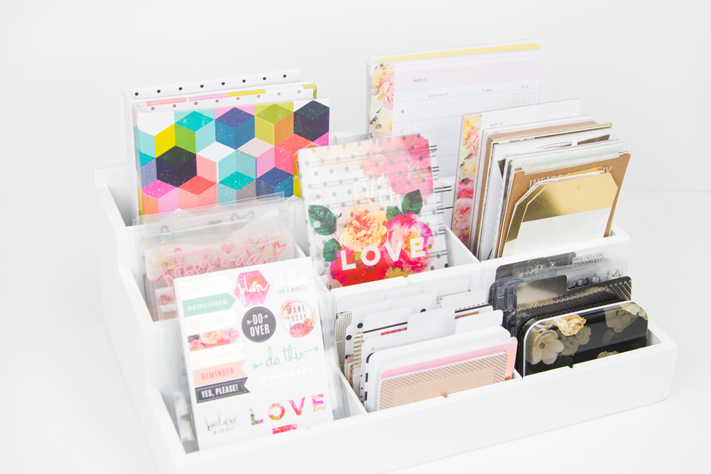 Isn't planning suppose to help keep you organized? Here I was wasting time trying to save time by using a planner. Ha! It was a total oxymoron! Here is how I got organized. After dumping all my supplies out on to my table, I started to sort the supplies. Stickers together. Stamps together. Note pads together... you get the idea. It was several months ago that I started to talk with Tiffany, from Totally-Tiffany, about my need to get random planner supplies organized. She helped me brain storm some ideas and I am so glad she did! She told me about her new addition to her Desk Maid collection and I knew it was going to be the answer I needed. I LOVE that the Die, Stamp, and Supply Organizer matches the other Desk Maid pieces in my office space. You can see those pieces and my office space here. Watch the unboxing video I created and how I took my mess to something I love to use everyday! 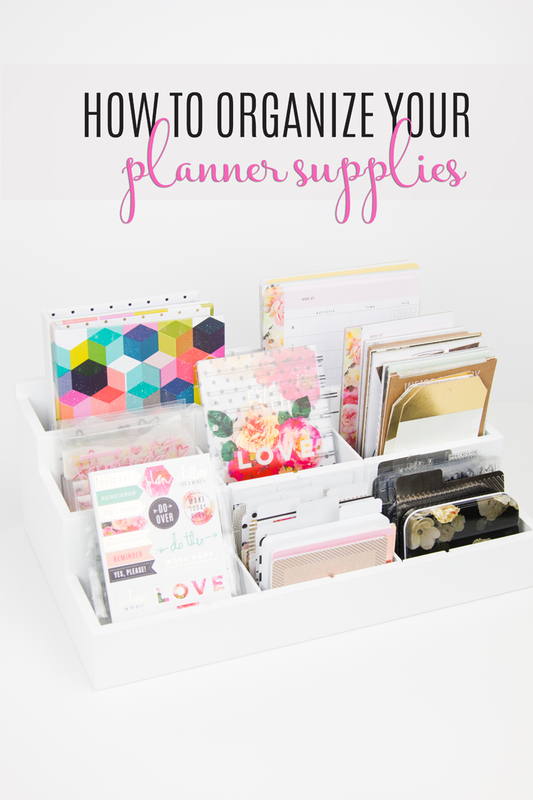 If you are feeling a little overwhelmed with your supplies, I hope this helps you get organized in some way! 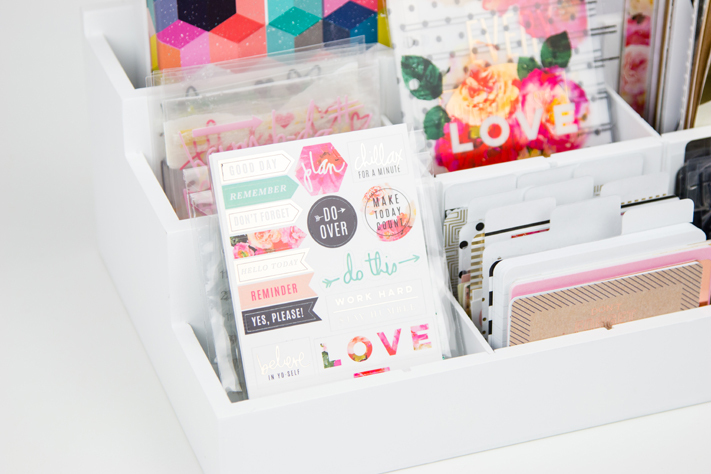 Stay tuned in as I share more ways I organized my smaller supplies like paper clips, favorite washi tape rolls, deco runners, and more! If you do not find peace when planning, recognize what is keeping you from attaining it. 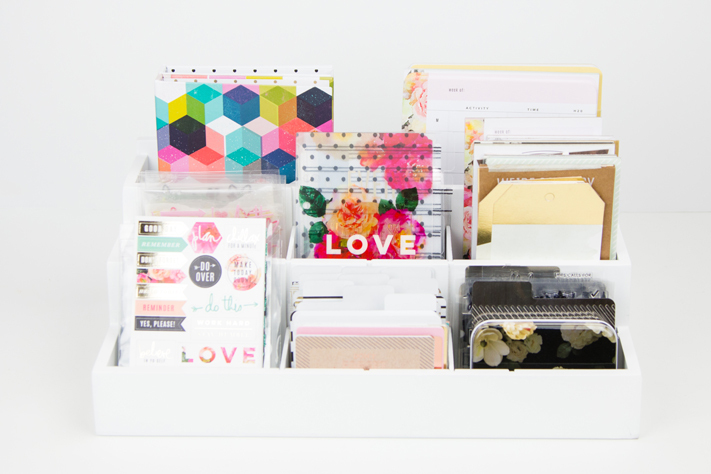 Try getting your supplies organized so that you can focus once again.